Fare thee well Winnie Madikizela- Mandela, you were one of a kind - SABC News - Breaking news, special reports, world, business, sport coverage of all South African current events. Africa's news leader. SABC's Abbey Makoe together with ANC struggle stalwart Winnie Madikizela-Mandela. A legendary photographer who dedicated his career filming the activities of reggae band Bob Marley & the Wailers was asked about the relationship between Marley and his right-hand man, Peter Tosh. Such was the depth of the trust between the two front men of the highly-esteemed global protest band. The anecdote came crushing on my mind as I grappled with how best to describe the connection between struggle icon Winnie Madikizela-Mandela and the poor, down-trodden and the hapless “Madding Crowd”, to borrow from author Arthur Miller. When Mom Winnie confronted armed apartheid police and soldiers bare-handed, screaming and yelling with anger and rage at their brutality, she knew she could count on the unbreakable support of the masses of her people who demanded freedom in the land of their forebears. Inter alia, the masses knew too well that as they confronted the system armed only with stones and nothing else, they could count on Winnie Mandela whenever faced with death, detention or injury. This rare bond between people in the trenches seeking to free themselves from the shackles of oppression was epitomized by the popular slogan “an injury to one is an injury to all”. To Mom Winnie and the masses, the relationship was a covenant which got to be understood to mean “we either swim together or sink together”. Thus in spite of one setback after the other, which included among others Winnie Mandela being banished for nine years to a place called Brandfort in the Free State which she’d never heard of or been to, the struggle against apartheid continued to be waged with increased vigour and determination from all corners of the country. I got to know Mom Winnie close and personal in the 1990’s when I took part in the struggle for transformation in the media. I became a frequent guest at her dinner table and still remember being struck by her ability to triumph over adversity. Her home in Orlando West, Soweto, situated on a hill a mere shouting distance from a four-roomed house she shared with Nelson Mandela before he went to Robben Island, became known as parliament. This was due to a flurry of almost daily meetings by activists and well-wishers from local and abroad who came to consult on decisions to be made and anti-apartheid activities that had to be undertaken. All these happened despite visible white members of the old South African Police (SAP) as well as SA Defence Force (SADF) who were stationed all over Soweto and other black townships to intimidate, harass or detain any black person they felt like. I was very fortunate that Mom Winnie also extended to me and some few peers an invitation whenever she received visitors from abroad who came to pledge their support materially, financially or otherwise. This led me to incredible access to important people I ordinarily would have been far from. One such important visitor was the leader of the US-based Nation of Islam leader Louis Farrakhan, who arrived with his wife Khadija and dozens of uniformed Fruits of Islam security personnel. These are the moments I will cherish till the end of time. Notwithstanding his busy-as-bee lifestyle, Mom Winnie always seemed to have time for his family, particularly the grand-children who visited every weekend. Her two daughters, Zenani and Zindzi, were obvious apples of her eyes and the word “family” was quite sacrosanct to the struggle heroine who assumed reluctantly the mantle of “Mother of the Nation”. Winnie the revolutionary was vividly erudite and she was beauty with brains. She was a woman of many words and injustice of any kind drove her mad. She harboured deep pain of state-sanctioned dirty tricks on her, which included much-publicised character assassination campaign year after year. At the height of apartheid, when few if any could utter the word ANC for fear of arrest, Mom Winnie dared the police to lock her up for uttering the words with frightening ease. For 27 years that her husband was incarcerated she had to make plans to raise children all by herself. 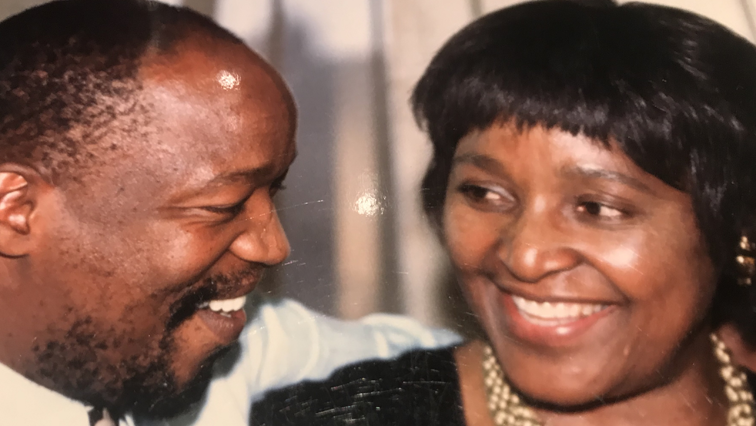 Yet when Madiba came of a lengthy prison term during which Mom Winnie kept his name alive as well as that of the ANC, fate proved yet unkind to her, she got divorced, and the court of public opinion was less sympathetic. She endured all nonetheless, with her dignity intact. Knowing Winnie the political leader from a distance was simply an honour, but sitting at the same dinner table with her inside her own home was way beyond majestic. It was out of this world. It was indescribable. Leaving this world at 81 is tempting to say Mom Winnie had good innings, but the value of her worth will be painfully felt in a country where her people in large numbers continue to wallow in the quick sands of poverty despite 23 years of supposed utopia. For a country that did not give Mom Winnie her dues, one can only wish that the democratic government, and the ANC as the ruling party, will put into great use her transformative ideas. Hopefully, her legacy will live on and generations to come will take a leaf out of her book for their own good. Finally, may the story of Winnie Madikizela-Mandela inspire particularly the women around the world to break free from patriarchy and all forms of gender inequity and oppression. Fare thee well, Mom Winnie. There’ll never be another like you. Amandla!